Trading down or up, draft day is always a busy time for General managers of NFL teams swapping picks. The Cleveland Browns were the busiest team on day 1, using their moves up the chains to land Justin Gilbert and Johnny Manziel, while the Bills had the highest trading up move of them all to help them select Sammy Watkins. The Minnesota Vikings also moved up with two lower picks, sent to the Seattle Seahawks, so they can keep Teddy Bridgewater on the fringe of the first round but just inside it, while they also used a pick they got for the Browns on Anthony Barr from UCLA. 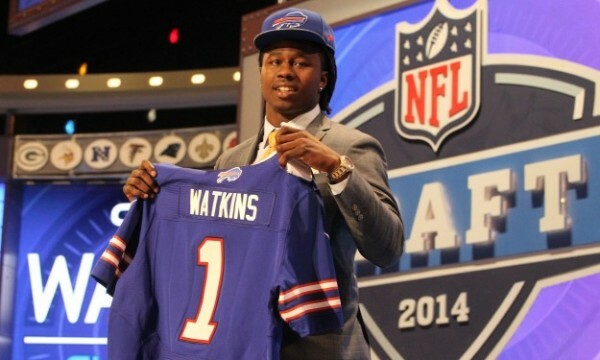 The Buffalo Bills really wanted Sammy Watkins, so they moved up to the fourth spot in order to get the Clemson wide receiver. In return, the Browns got the number nine overall pick (which was later used in a trade with the Minnesota Vikings), Buffalo’s 2015 first-round pick and 2015 fourth-round pick. With that ninth pick the Browns used to make a package for the Minnesota Vikings in order to get their number 8 overall pick, which helped them land Justin Gilbert, the cornerback out of Oklahoma State. The Vikings used that number 9 pick on UCLA linebacker Anthony Barr, and also got Cleveland’s fifth-round selection, No. 145 overall. The Saints wanted to move up the draft so they got the Cardinals’ number 20 overall selection in order to get Brandin Cooks, the wide receiver coming out of Oregon State. In return, the Cardinals got the 27th overall pick and the Saints’ third round pick, 91st overall. They chose Deone Bucannon, a safety out of Washington State, with the 27th. 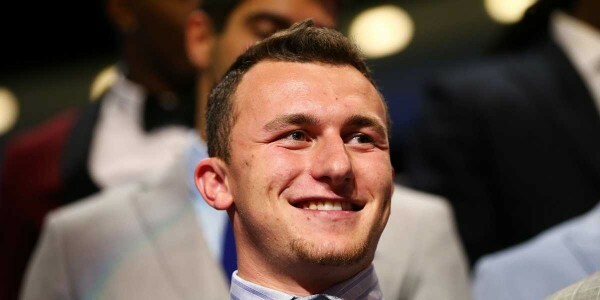 A busy day 1 for the Cleveland Browns who wanted to land Johnny Manziel, only not with their early picks. So they got the 22nd overall selection from the Philadelphia Eagles and used it on the 2012 Heisman winner. The Eagles got the number 26 overall pick which they used on Marcus Smith and the Browns’ third round pick, 83rd overall. The Vikings couldn’t finish the first round without having a stab at a quarterback, so they acquired the 32nd overall pick from the Super Bowl champions, taking Teddy Bridgewater from Louisville with it. The Seahawks got two picks for that: The second round (40th overall) and fourth round (108 overall) picks.